2015... PAOK - Brondy. We won that one 5-0. Good vibe in Toumba that night. looking forward to being there again!!! Does it give you the option to get them sent to your email and then print them off from there?? Does anyone know when tickets for this game will go on sale? 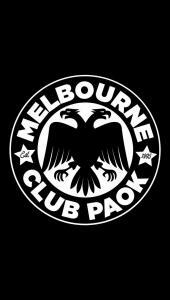 Also, has anyone ever bought tickets off the PAOK website? If so, was it a smooth transaction? Are there any suggestions for purchasing tickets whilst still outside of Greece, or do I just use the PAOK site? I don't know whether to laugh or cry... this is exactly why I stopped waking up at 4am to watch this sh*t!!! I wish that paper roll would've cracked his skull... it would at least make the punishment somewhat satisfying. So what happens if Prijovic actually signs up with another team? What are the consequences? I cant remember, was Klaus sold or is he on loan? Wanted to ask a question about fines/fan bans relating to flares... Has it always been illegal to light flares during matches? I feel like it has become more of an issue lately than it's ever been. Are we the only team they are coming down hard on? I thought flares and Greek football go hand in hand? Talk about stupidity... i remember being on a flight from Kalamata to Thessaloniki and having someone on the ground pointing a laser on the plane as we were coming in to land. Savvidis Jnr just posted an insta story about avoiding a pyro show to avoid fines..? "Mono xartakia kai fwni!! Nikh xwris timwries!" they really believe in the coach.... Savvidis is constantly showing their support for him on Instagram. Is this all a facade, or are they seeing something in him that we cant?? what the reason for the financial hole?? Did we bite off more than we can chew, and go over budget? I'm still baffled by Ivic's departure (as im sure everybody else is) Seriously though, what happened? He hasn't left for another team. From what i can see, he hasn't taken a job anywhere else... Was it a money issue? it appeared as though he had everyone's backing while he was coach.